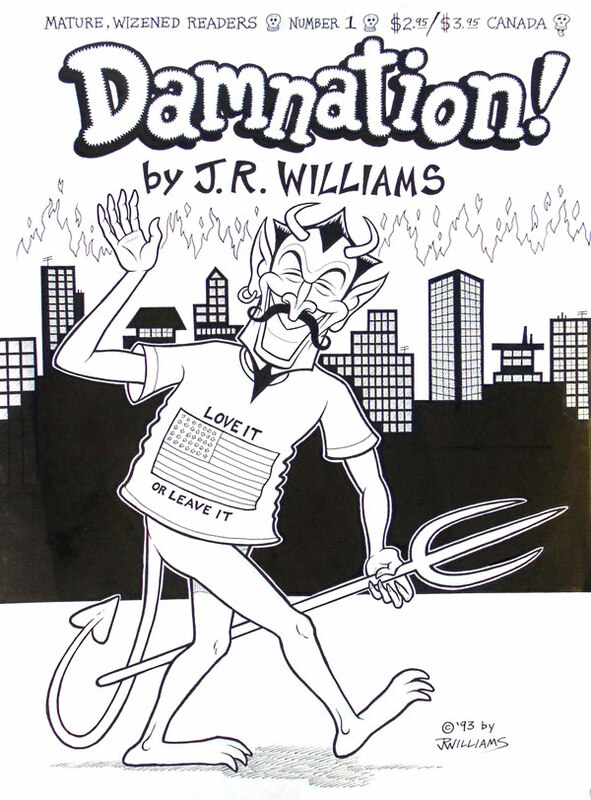 Cover art for my collection titled DAMNATION!, published by Fantagraphics. Ink, blue pencil, and white-out on paper. Approx. 16" h x 11 3/4" w.